We were unimpressed with the Q4 earnings season from the get-go and that initial view has been confirmed by the bigger sample of reports we have seen since then. A few notable standout reports notwithstanding, the overall tone and substance of this earnings season is on the weak side. Plenty of reports are still to come, with this week alone bringing in almost 400 earnings releases, including 121 from S&P 500 members. But with results from 113 S&P 500 members already out, the trends established already will most likely carry through the rest of this reporting cycle. 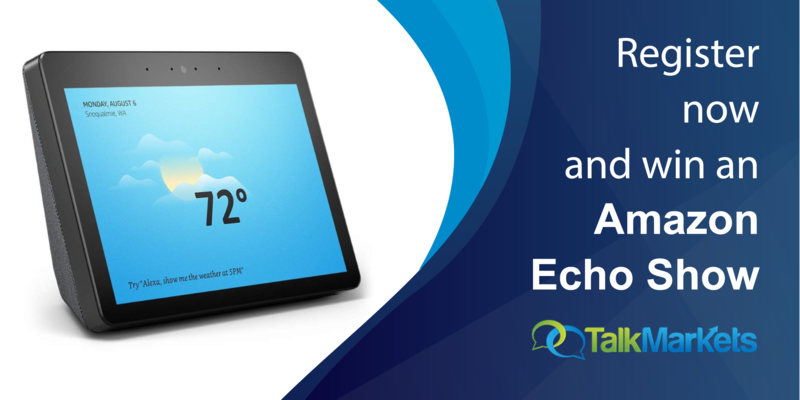 We will share the current scorecard and what’s on deck this week a little later, but let’s first point out the key trends that we have seen from the Q4 results that have come out through Friday, January 25. Total earnings for the 113 index members that have reported are up +12.4% from the same period last year on +6.5% higher revenues. 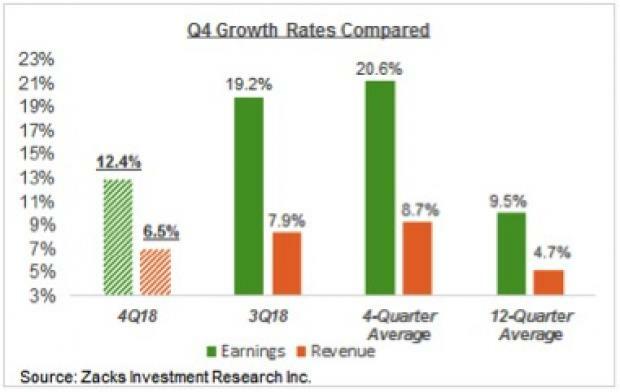 Earnings and revenue growth for the same cohort of companies had been +19.2% and +7.9% in the preceding earnings season. The comparison chart below puts this growth deceleration in a historical context for these 113 index members. Second, companies appear to be struggling to beat consensus EPS and revenue estimates. For the 113 index members that have reported results already, 67.3% are beating EPS estimates and only 58.4% are beating revenue estimates. For the same cohort of companies, the proportion of positive EPS and revenue surprises was 80.5% and 61.9% in the Q3 earnings season. The comparison charts below put the Q4 beats percentages in a historical context for these 113 companies. The lag on this front earlier on was more notable on the revenues side, with revenue beats tracking below historical periods. But as you can see above, EPS beats are even more notably tracking below historical periods. 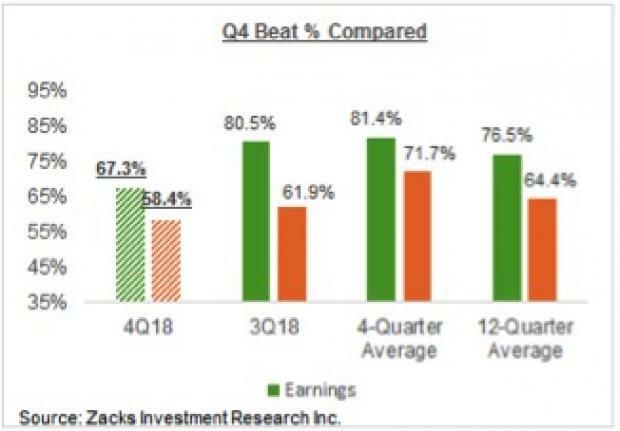 The fact is that the Q4 EPS and revenue beats percentages are the lowest since the fourth quarter of 2016.